In this assessment, you are required to manage the review of the currency of the organisational vision and mission, make any necessary changes, and communicate the review process to stakeholders in order to gain their support. describe the strategic planning process and identify where input can be provided. After you have developed this summary, you need to meet with a key stakeholder/strategic planning consultant (your assessor) to discuss the vision and mission as you have identified it. You should also check that they agree with your findings. Summarise, in dot-point form, your discussions with the key stakeholder/consultant and ensure that this includes any recommendations they made. After this meeting, you need to draft an email to the other stakeholders in your organisation, using the headings described below. Existing vision and mission: From the case study information provided, describe the existing mission and vision statements. Current approaches: From the case study information provided, and your meeting with the key stakeholder/consultant, describe the current organisational understanding and enactment of the mission and vision statements. Revised vision and mission: Based on steps 1 and 2 above, develop revised vision and mission statements that reflect the current organisational requirements. Organisational values: Based on the case study information provided, step 2 above, and your reflection on the revised mission/vision statements (from step 3), describe the organisational values required to support the revised mission and vision statements. your report is submitted as required by your organisation (your training provider). Note: You need to retain your revised vision and mission and organisational values for reference and use in Assessment Task 2.
summary notes from the meeting with your key stakeholder/strategic planning consultant. evidence that you have analysed and identified the needs of the case study, and reflected these in the revised mission and vision statements you have developed. Meeting with key stakeholder/consultant (assessor) may be conducted and observed live or via an appropriate teleconferencing tool. You have been the General Manager of MacVille’s successful import/export business centre in Sydney for the past two years. You have been asked by the Board to assist in the development of a strategic plan by initially conducting a review of the vision, mission and values of the organisation. Later in the review process, you are presented with an opportunity to discuss the application of the vision, mission and values with the CEO again. This time, you are more interested in researching what had changed since the last strategic vision was formulated. In this assessment, you are required to complete analyses of the organisational environment to develop an understanding of potential competitors and allies, and the associated risks and benefits. Complete a value chain analysis, PEST and SWOT for your organisation, plus analyses of the potential competitors and allies supplied in the case study. SWOT analysis (including an evaluation of the value-chain). develop a separate summary statement for each potential ally for a cooperative venture that describes their alignment with MacVille’s vision, mission, values and attributes, as identified on the tender document. Once you have developed these materials, you need to meet with your supervisor (role-played by assessor) to discuss and confirm the analyses you have completed, together with the summary of potential cooperative venture allies. Take notes in the meeting with your supervisor and make any changes as suggested by them, before submitting your final version. Note: You need to retain your analysis of the organisation, competitors and allies for reference and use in Assessment Task 3.
summary notes from the meeting with your supervisor. evidence that you have analysed and identified the needs of the case study, and reflected these in the reviews and summary notes you have developed. Meeting with supervisor (assessor) may be conducted and observed live or via an appropriate teleconferencing tool. Having completed MacVille’s review of the vision, mission and values, you should then consider the environmental factors that could impact on MacVille’s goals and objectives. To help you with this assessment, you are provided with an industry consultant’s report that contains a recent and comprehensive review of the industry and general operating environment. You have noted the following points from the report. New commercial espresso machines are being developed that use 30% less energy to run, with an innovative and more efficient heat exchanger. Planned changes in trade, where all tariffs on imported goods, including espresso coffee machines, will be removed in line with the government’s free trade policy. 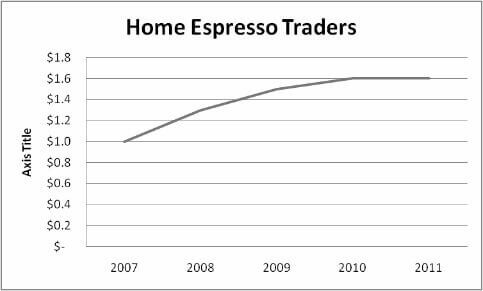 The development of the home consumer market for consumer espresso machines is experiencing high growth. There is a lifestyle trend towards eating out more frequently as the population ages and becomes more affluent. A steady population growth rate is predicted for Australia, from 22 million in 2010 to 36 million in 2050. The prediction of a strengthening Australian dollar against all our major trading partners over the next few years is a concern. Higher-than-expected growth in the economy is predicted, as a result of a resources boom. A carbon tax has a strong possibility of being introduced on all energy-intensive products used in a commercial enterprise. Inbound logistics is a problem, due to the lack of experienced personnel in importation and customs operations. The lack of solutions from Human Resources management has meant that delivery timelines are sometimes delayed because the proper procedure was not followed. The operations of MacVille is an area of strong value-add, with the state-of-the-art Management Information System (MIS) forming part of MacVille’s infrastructure. The MIS has allowed for sound corporate/strategic planning, along with strong internal controls in accounting and finance. Outbound logistics is an area that could be improved. Currently, MacVille relies on a three-year contract with a delivery firm to deliver its goods to customers. Sometimes there is a delay in getting the appropriate vehicle to deliver the espresso coffee machines, which is causing some issues with customers. The contract delivery firm seems to be struggling to deliver the promised quality with their fast expansion. All managers agreed that marketing and sales are strong points for MacVille. The marketing communications and promotions mix seems to be working well, particularly with the social marketing that MacVille has introduced in the past year. Technology developments are helping MacVille to reduce costs, yet expand the message via internet marketing activities. Service is another strong point for MacVille, which enjoys a good reputation in this field. The installation, after-sales service, complaints handling and training all get top marks from customers. Some of MacVille’s procurement policy has helped in this regard, with MacVille outsourcing work where it cannot meet customer demand. The policy of putting the customer first and guaranteeing service calls within 24 hours has been a key reason for the increased sales. In a brainstorm with the CEO and senior managers, the following points were noted. When asking about the potential for opportunities, threats and competitors, the consensus was the following. Moving into the new Sydney market, where the bulk of espresso machines are sold each year, and from which a major (but ineffective) competitor has withdrawn. Other opportunities could be found in strategic alliances with coffee bean suppliers, where market penetration could easily be achieved and costs of advertising and service could be shared. There was also concern about the rising Australian dollar having a severe long-term impact on tourism, which was a major category buyer of espresso machines. 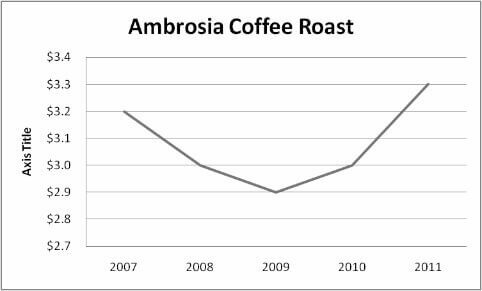 Raising interest rates that are predicted for the coming years could impact negatively on the disposable income of coffee-drinking patrons. The concerns of the group were centred on a global corporation, Nufix Inc., shifting from instant coffee into the espresso bean and machine market. The resources they would have at their disposal in marketing, finance and human resources could be a serious threat to MacVille’s plans. However, they would still struggle to gain a foothold in a market that already has strong supplier/buyer allegiances, with most stretching over many years. Global players like Nufix Inc. have difficulty being adaptable to the needs of niche market buyers. Another competitor of note was BeanEx, a large coffee bean supplier that had recently started importing espresso machines for their customers. There was talk of them selling the espresso machines as wholesalers. They certainly had easy access to markets with their coffee bean trade, but they had no established service arm to help wholesale clients maintain the machines that they purchased. MacVille has been keen to pursue strategic alliances as part of its strategy to achieve its objectives. It called for tenders from interested parties, who were asked to complete a tender application form that provided information relating to the tender requirements. Some notes have been included by senior managers who assessed some of the information. Three submissions are attached to this case study. 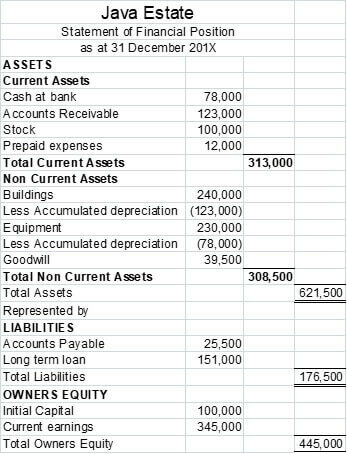 Description of business (include vision, etc.) – Selling consumer home espresso machines to the home market, only in Sydney, and incorporating other digital home entertainment products. Description of joint venture – Shared space in four trade shows per year. Venture: Strengths and weaknesses – Strength: covers the consumer market for espresso machines (which complements the commercial market for espresso machines) to make a full range offer to clients. Weakness: working with a strategic partner who is not solely focused on the hospitality industry. Partner not fulfilling their financial commitment. Association with a non-industry partner may have a negative effect on MacVille customer base. Partner access to MacVille’s trade secrets. Venture: Cost-benefit analysis – Costs of the shows are $2,500 each. Four shows costing $10,000, selling 10 machines per show at $500. Each would see a profit of $10,000 for the year and a break-even after two shows. Able to provide access to due diligence materials? Description of business (include vision, etc.) – Sell all grades of coffee bean to supermarkets and hospitality outlets around Australia. Description of joint venture – Share in the cost of outdoor advertising for cafes and restaurants, with shared branding of umbrellas and barriers. Venture: Strengths and weaknesses – Strength: Supplier is committed to the coffee bean industry, with some sharing of the client base. Weaknesses: Has concerns with sharing information, citing intellectual property. Product image is not quality but more commodity-based. Risks with poor brand association. Venture: Cost-benefit analysis – 50 cafes per year, at $200 per cafe cost for each partner. 50 machines sold at $500 profit is $15,000 profit return for the year. Break-even after 20 cafes. Venture: Financials – Not available. 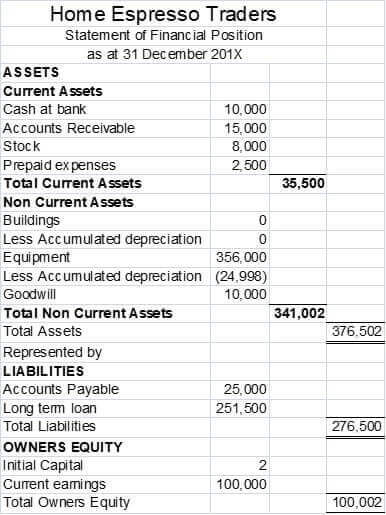 Description of business (include vision, etc.) – To sell quality Arabica roasted coffee beans to all states of Australia. Description of joint venture – Java Estate provides MacVille espresso machines to client at no charge. 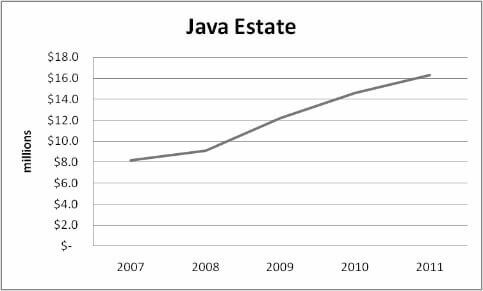 Java Estate pays MacVille cost price for the delivery and installation of the machine, then pays the remainder of the purchase price on a 12-month repayment program. Venture: Strengths and weaknesses – Strength: Australia-wide partner – 100% committed to hospitality and coffee bean market. Weakness: Other coffee bean suppliers may not recommend MacVille machines with this strong strategic alliance. Venture: Risks – Concern over the amount of money outstanding. Venture: Cost-benefit analysis – Potentially 200 machines installed in the first year. Interest costs $40,000 p.a., profit $100,000. Break-even after 80 machines sold. In this assessment, you are required to develop and document a strategic plan for the organisation based on the research you have conducted. You will also need to communicate the strategic plan to key stakeholders in the organisation. Write a strategic plan, including consideration of resource implications, and then circulate to stakeholders. After endorsement from the Board, communicate the plan to employees and describe any implications for their role in the organisation. For the provided case study information, following on from your analysis of the organisation, and competitors and allies in Assessment Task 2, you need to do the following. Formulate strategic objectives for the organisation (based on the Board minutes). For each objective, develop and describe strategies that you think could be used to meet the objective in the future. assign measurable performance indicators to individual strategies. When you have completed your draft strategic plan, you need to make an appointment to meet with the CEO of your organisation (role-played by assessor) to discuss your plan. They will gain endorsement from the Board for the plan, and return it to you with any required amendments. After you have received the endorsed plan from the Board, you need to do the following. Develop briefing materials (dot-point descriptors) for the identified responsible parties, outlining the requirements of their role in achieving the relevant strategy. a description of the research and process used to develop the plan. briefing and information materials about the revised strategic plan for staff and responsible parties. evidence that you have analysed and identified the needs of the case study, and reflected these in the strategic plan and informational materials you have developed. Meeting with CEO (assessor) may be conducted and observed live or via an appropriate teleconferencing tool. You are provided with the minutes of the board meeting, where the CEO spoke about the strategic objectives that will form part of the strategic plan. Present: Alan Jones (Chair), Jenny Ng, Olga Hartwick (Secretary), John Brennen, James Laird, George Saldais. Meeting called to order at 7.00 pm by Chair, Alan Jones, who explained that this was a special meeting of the Board to hear the presentation of the strategic plan by the CEO Patricia Mees. (Last month’s) meeting minutes were amended and approved. Patricia Mees gave a presentation concerning the objectives that would form part of the strategic plan for the next five years. Objective 1 – To sell and service MacVille espresso coffee machines in every state of Australia. This was a top priority that would involve the acceptance of Java Estates tender. This was an important alliance and one that should be managed at the highest level. With the Sydney warehouse now established, it was important to look for other warehouse opportunities in high-volume states. The other states could be managed with an agent’s network and by outsourcing the maintenance. Objective 2 – To increase profit margins by 5% in the next five years. This should occur naturally, with increased sales allowing for better price negotiations with suppliers, and getting all departments to make optimum use of their staff. Objective 3 – To establish the MacVille brand recognition in key markets in the next five years, mostly via new technologies but also through co-branding with our strategic partner. This is also a high priority if the successful rollout is to be achieved. Objective 4 – To reduce our waste and energy use by 10% within the next five years. Education programs and incentive rewards for innovations in this area should see the organisation achieve its objectives. In this assessment, you are required to implement the strategic plan within the organisation, monitor progress and develop a report evaluating the implementation. evidence of the way in which you communicated the contents of the report and to whom, including how you implemented the strategic plan and the process you used to monitor its progress. You will also need to gather input from the audience (your assessor). Presentation may be conducted and observed live or via an appropriate teleconferencing tool. Objective 1 – To sell and service MacVille espresso coffee machines in every state of Australia in the next five years. All states have a MacVille machine, apart from the Northern Territory, where it took some time to get an agent, and an experienced espresso machine repairer has not yet been found to take on the job due to the attractiveness of mining industry pay rates. Objective 2 – To increase profit margins by 5% from our benchmark in the next five years. Profit margins have improved by 2% in the last two financial years. Some agent contracts and outsourcing contracts are very expensive. Strategy (e) – Operate all departments at optimum capacity and productivity. Objective 3 – To establish the MacVille brand recognition in our key markets over the next five years. After two fiscal years, 50% of our target market recognise the brand and 87% of those responding said the brand reaction was very positive. Objective 4 – To reduce our waste and energy use by 10% from our benchmark within the next five years. After two fiscal years, the reduction is 8% lower than original financial year benchmarks. Strategy (i) – Develop and implement energy use awareness campaign.